The Community Christmas Festival will run on Saturday December 3rd, and will culminate with the Military Wives Choir singing around the Christmas Tree. 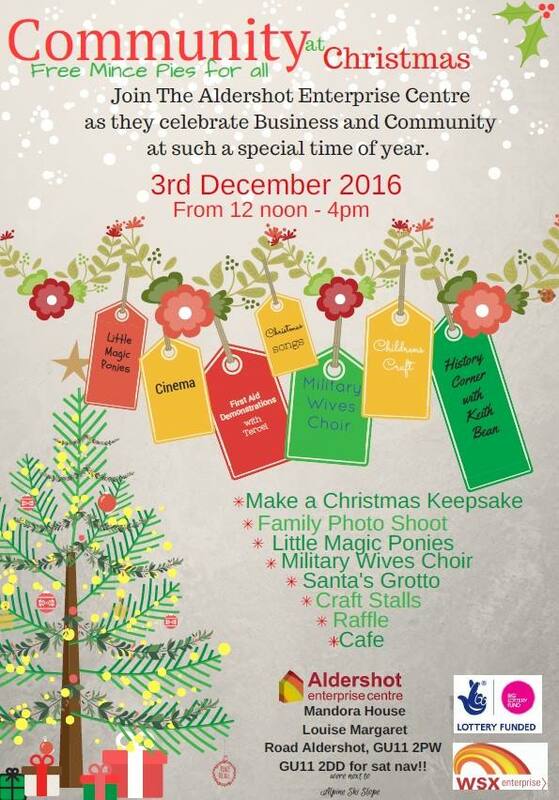 We will have mulled wine and mince pies, Father Christmas, Family photo opportunity by the Christmas Tree, Craft Stalls, History of Aldershot Corner and Craft corner and a fabulous Raffle to be called Saturday afternoon with all monies being donated to The Vine Centre. Do come along and join us – it will be a great day with lots of community spirit to get us all ready for Christmas!